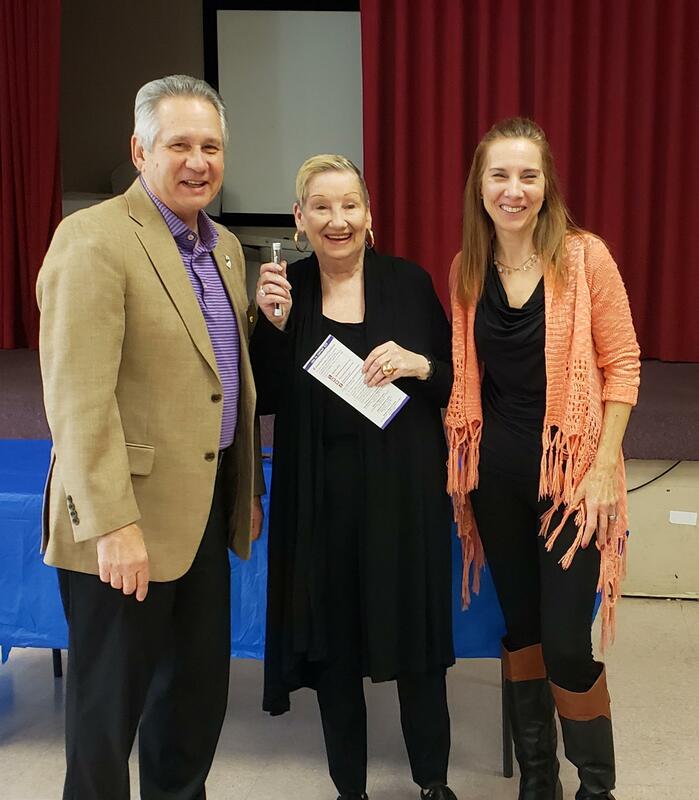 Rotarian Bob Zeglarski smiles with Barbara Kopel and Joann Passantino of Emmanuel Pediatric Foundation at a recent gathering of Rotary Roselle-Roselle Park. Barbara and Joann spoke about the foundation's service to the families of pediatric cancer patients. Each time Rotary gathers, a meaningful program about community service is provided, aside from time spent planning Rotary's next service project, and munching on the Best Breakfast in Rotary.